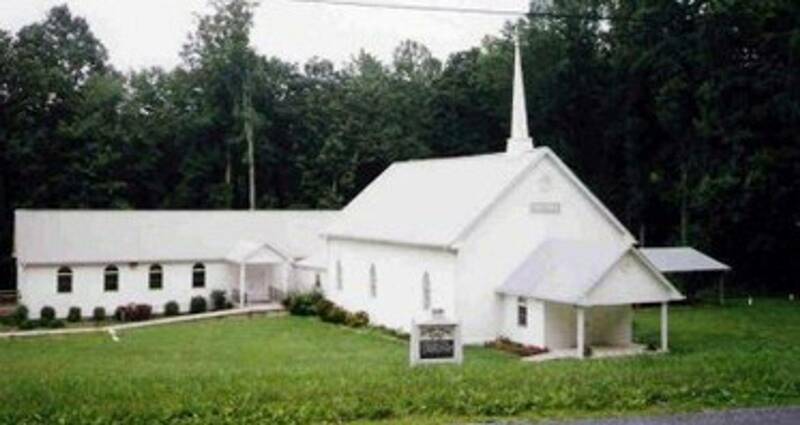 After the Civil War, in 1865, brother B. F. Moomaw and some other Botetourt County Brethren heard a call from a small group of Bedford County Christians to come help them and a new meeting house was built on land donated by the Jeter family. It began as a union church with three other demoninations using the meeting house for services on assigned weeks. The three denominations later moved to other locations leaving the Brethren with the Jeters Chapel meeting house. Jeters Chapel was officially organized in 1875 with twenty-five members in a log cabin which stood across the road from the current building. B. F Moomaw and Peter Nininger would serve as pastor and elder for ten years. In 1885, Samuel Crumpacker was called to pastor and rode horse back from Cloverdale to bring the Gospel to the people on the mountain. He served over thirty years before leaving due to his wife's declining health. In 1923, Sister Elizabeth Jennings accepted the call as pastor and would serve for fifteen years. Albert H. Showalter served for ten years and Elizabeth Jennings Broughman was called again in 1951 for eight more years. Among others; Ned Crumpacker, Glen Sage, Pete Bain, Earnest Muntzing, and Clyde Lehman have served Jeters Chapel. Today, the church is served by 2/3 time minister who serves with the boundless support of the many key lay-people who make up this congregation. Everyone is welcome to visit and/or join us.